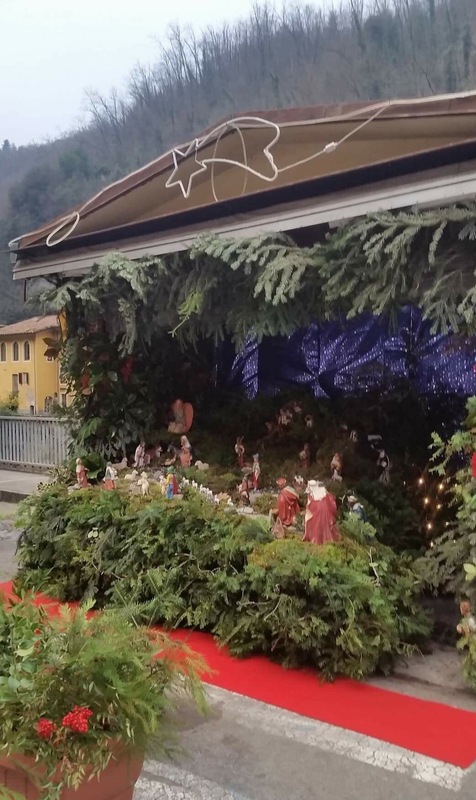 This entry was posted in seasons, Things to see and do and tagged Bagni di Lucca, Christmas, Ponte a Serraglio, presepe by Debra Kolkka. Bookmark the permalink. I have enjoyed very much reading your blog throughout the year. Thank you! Have a wonderful Christmas and a new year full of adventures. Many thanks, Debraa! And season’s greetings to you and yours! Merry Christmas for you and your family. What a great idea to make a presepe in the old kiosk! Thoughts of Christmas in that beautiful valley warms my heart. Christmas wishes to you and yours. I hope your 2019 is full of wonderful travel. I’m sur it looks really lovely as you pass through the piazza. Merry Christmas. Beautiful! An old Bagni di Lucca tradition kept alive. Merry Christmas Debra. I hope you have a wonderful and joyful day. Thank you for your kind wishes. I hope you have a wonderful 2019 full of adventures.